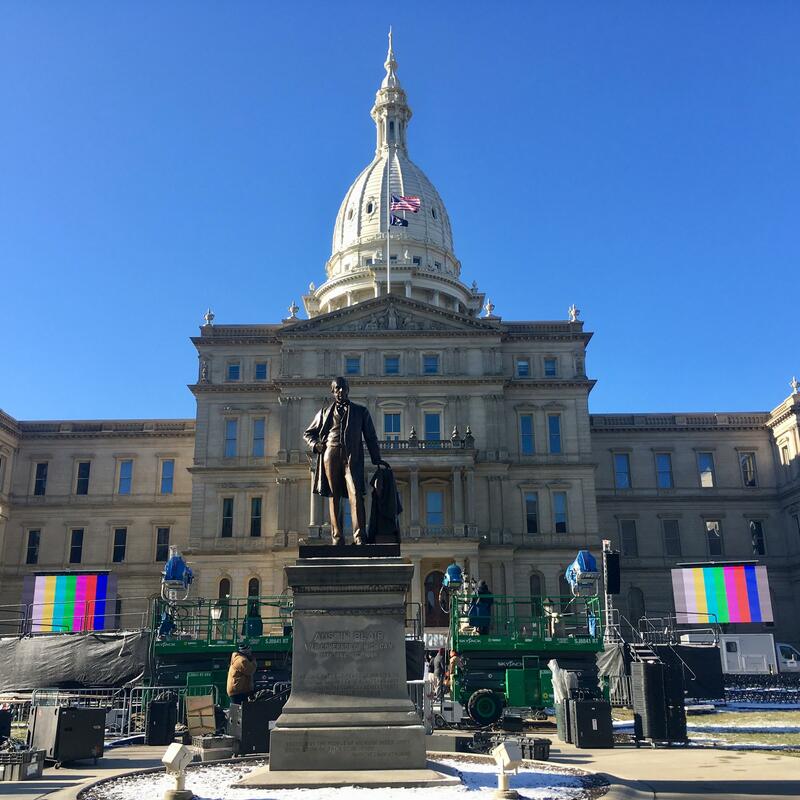 Crews installed monitors, tents and other equipment ahead of inauguration on January 1, 2019. The inauguration on Tuesday is expected to happen during the 11:00 a.m. hour. It will be broadcast live on WKAR-TV 23 and on AM 870/FM 105.1 WKAR NewsTalk. 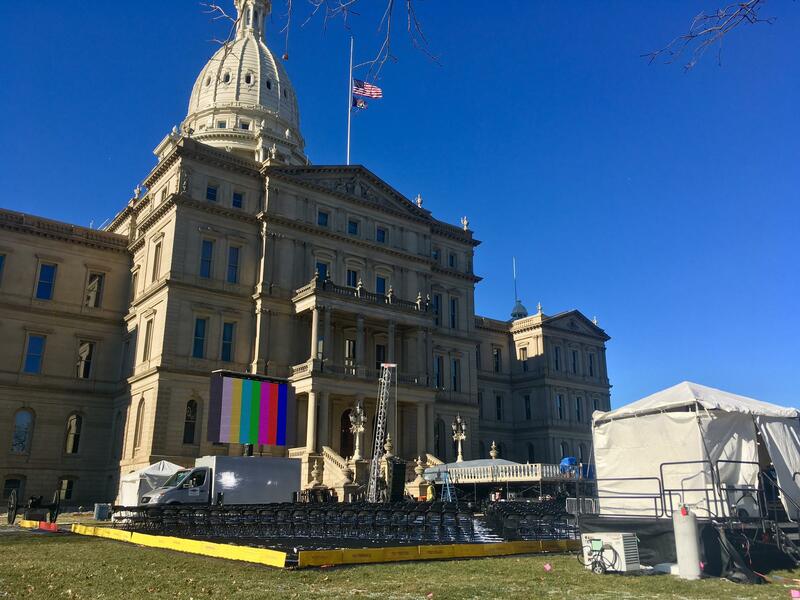 Under the blue sky and sunshine of Sunday, technicians and other crews worked on the grounds of Michigan’s Capitol building. Large monitors flanked both sides of the Capitol steps. There are also risers and dozens of chairs set up to watch the swearing in of Democratic Governor-Elect Gretchen Whitmer. In November, she defeated Republican Attorney General Bill Schuette. She follows the 8-year administration of Republican Governor Rick Snyder. The inauguration on Tuesday will start at 10:30 a.m. It will be broadcast live starting at 11:00 a.m. on WKAR-TV World Channel 23.2 and on AM 870/FM 105.1 WKAR NewsTalk. Dozens of commercial television outlets are also expected to cover the historic occasion. Newly elected MSU Trustees Brianna Scott and Kelly Tebay. The transition team said the invocation will be given by East Lansing Rabbi Amy Bigman of Congregation Shaarey Zedek. The public is invited to attend. 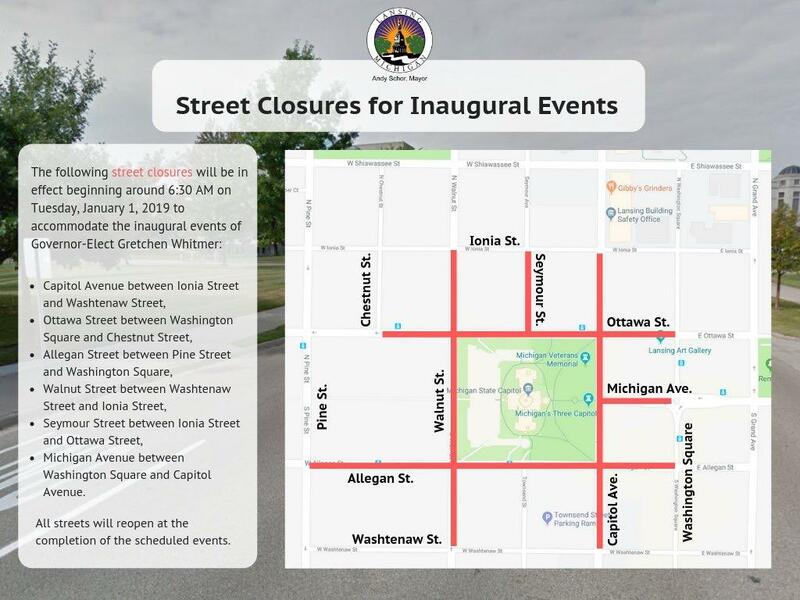 However be aware that much of the public parking will be off limits on streets around the Capitol according to the city of Lansing. You will not be allowed to park at dozens of meters around downtown Lansing starting at 6:30 a.m. on January 1. 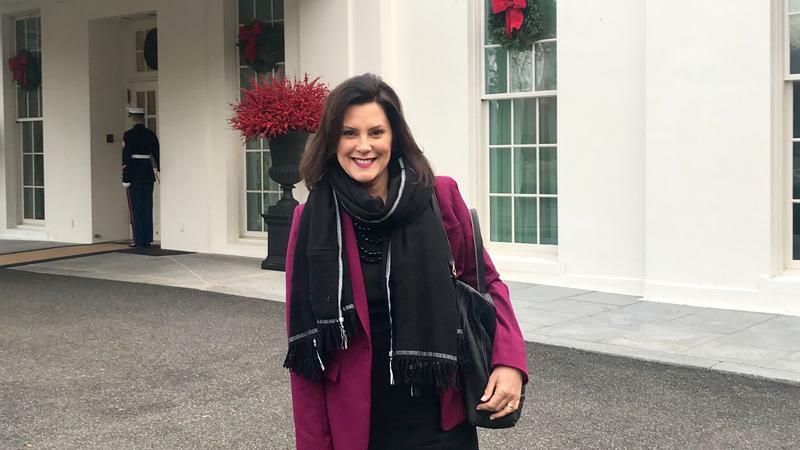 The Whitmer Gilchrist Transition Team announced an inauguration celebration will take place Tuesday evening at Cobo Center in Detroit. 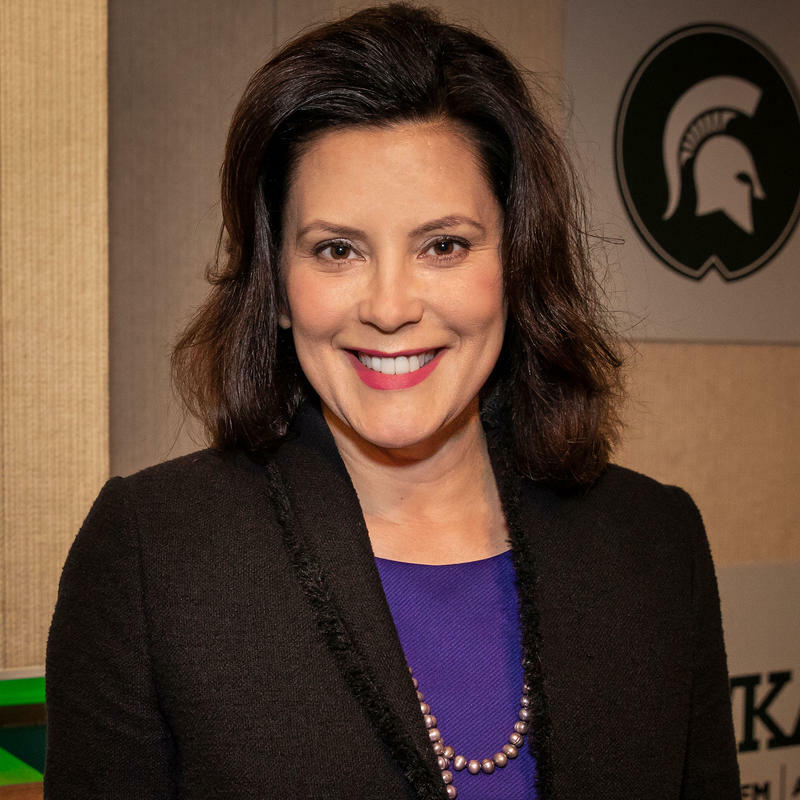 Michigan Gov.-elect Gretchen Whitmer said Thursday she emphasized the importance of upgrading road and water infrastructure and keeping invasive carp out of the Great Lakes in a meeting with President Donald Trump. 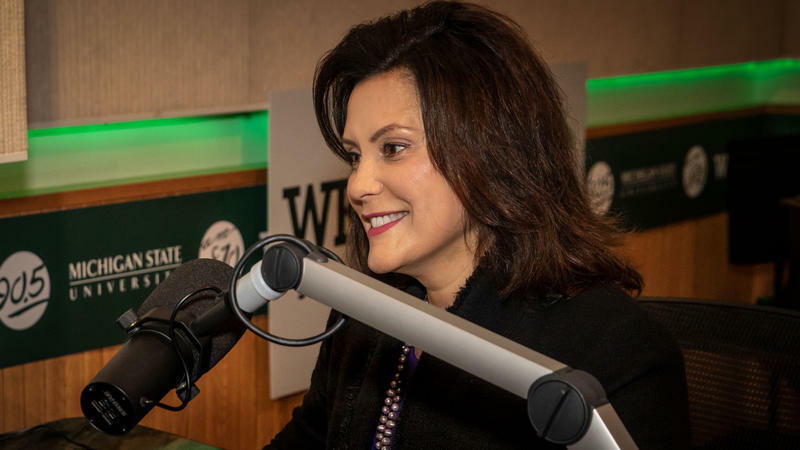 Cleaning up contaminated drinking water and smoothing deteriorating roads will top the agenda for Democratic Gov.-elect Gretchen Whitmer, who said Wednesday she hopes to find bipartisan consensus with the GOP-controlled Legislature. Republicans’ eight-year run of complete control over state government has come to an end. 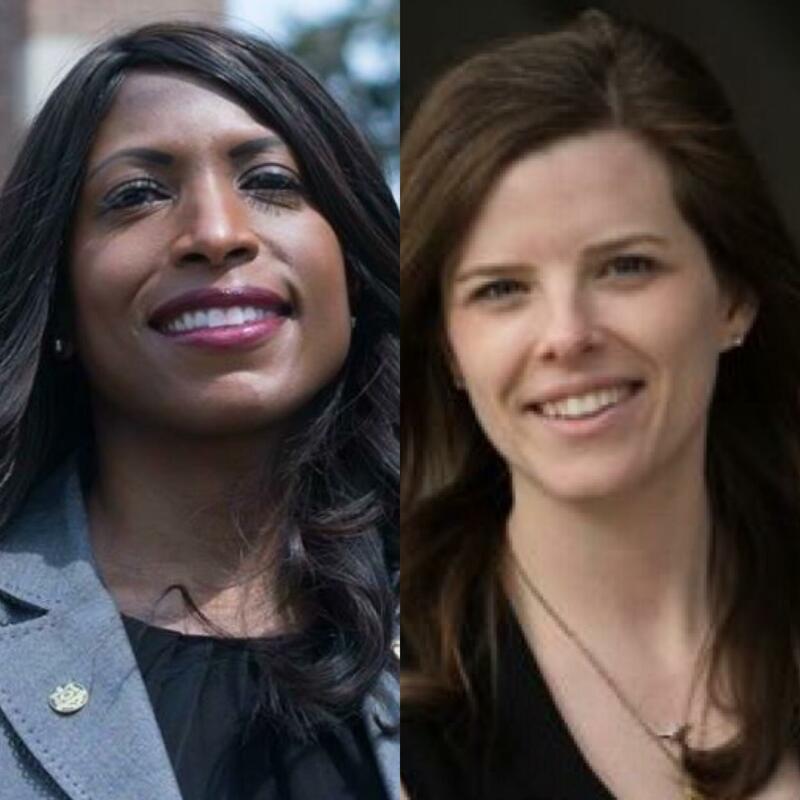 The midterm election means Michigan’s government will change with Democrats taking the governor’s office.